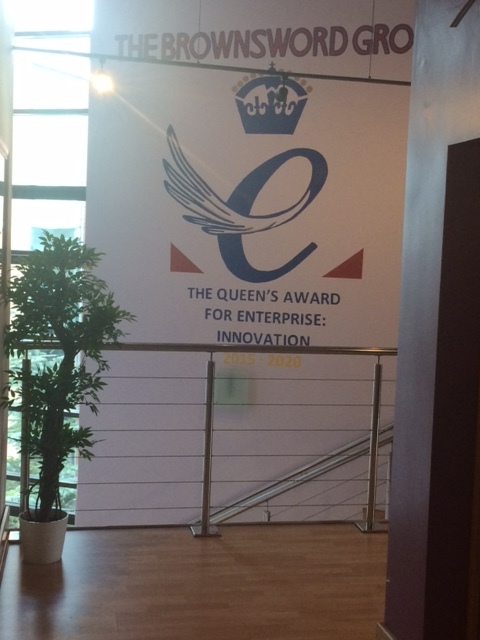 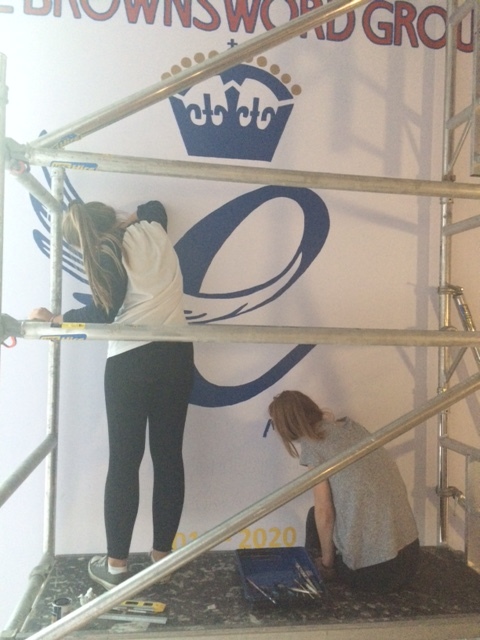 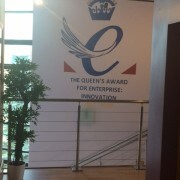 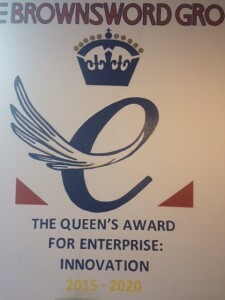 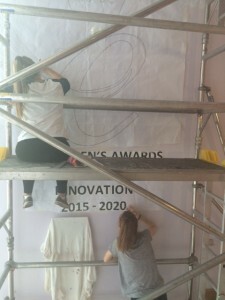 Three local art students from Wilmslow High School were commissioned by The Brownsword Group to decorate a void on a large stairwell wall to recognise our achievement in receiving the Queen’s Award for Enterprise in Innovation earlier this year. 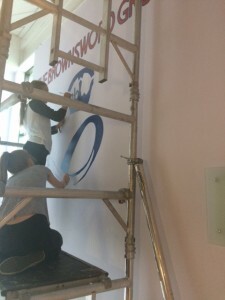 Despite the physical challenges to paint at a great height and a strict deadline, Honor Greenwood, Ellie Prime and input from Alice Du Fresne rose (literally) to the task. Due to copyright restrictions of the Queen’s Award logo it was difficult for the artists to add their own interpretation to the piece which now adorns a striking wall, greeting every visitor with our great accomplishment.